Genting Singapore’s share price has fallen by 29% YTD as the company and investors grapple with bad debt impairments and losses on available-for-sale (AFS) financial instruments. We met management to discuss these issues as well as the performance of its newly opened Genting Hotel Jurong (GHJ) and its substantial cash on hand. Genting booked SGD92.5m worth of bad debt in 3Q15. Management expects to book a similar amount (in the worst case scenario) over the next 3 quarters. As it has tightened its credit extension criteria since the start of 2015, it expects provisions to decline from 2H16. In 3Q15, Genting suffered a SGD274.5m fair-value loss on AFS financial instruments. Management said these were equity-linked investments such as fixed-income products and the losses were a result of the broader equity market slowdown and unfavourable FX movements. As the net quantum of AFS financial instruments has declined significantly (3Q15: SGD0.5b vs. 4Q14: SGD1.5b), it expects potential losses to be contained. On operations, management emphasised its aim to expand the mass market segment as VIP rolling chip volume softens (-20% QoQ in 3Q15 and -40% YoY). Management noted that the broader mass market customer base in Singapore is nearing saturation, and so it will focus on overseas markets, such as Thailand, to grow its pool of customers. GHJ fully opened in July 2015 and management shared that the hotel’s average occupancy rate was 80% in 3Q15, vs. 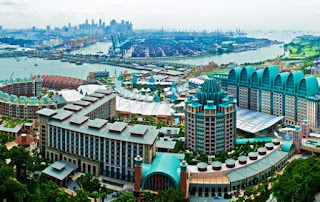 Resort World Sentosa’s 92%, with a mix of business travellers during weekdays and leisure guests over the weekends. Moving forward, the strategy is focused on increasing the flow of GHJ guests to its resort. As of 3Q15, Genting had a net cash position of SGD3.1bn. Management shared that it intends to use it mainly for expansion purposes. In the near term, a foray into Japan will be the main focus, but this is subject to the government passing the necessary gaming regulations. The company aims to maintain its dividend of SGD1 cent per share in 2015. One bright spot for Genting is the non-gaming segment, which saw a record quarter of visitor arrivals of about 21k per day in 3Q15 (3Q14: 18- 19k). However, average daily spending has fallen by 6-10% YoY, likely as a result of softer regional currencies, cited management. 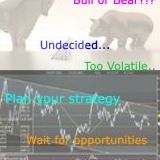 Asia Pacific Strategy - Alpha Edge: July bottom is here?